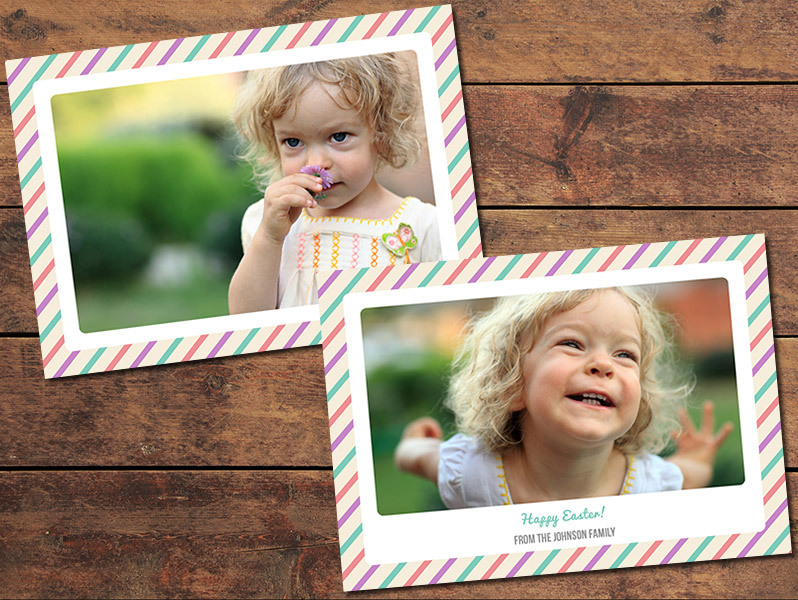 With the help of this template you can easily create an Easter card for your clients featuring your own beautiful photos. Just insert your photos (using Photoshop’s clipping masks, with instructions included in the download), edit the text as needed, and in no time you’ll have a card ready to be printed. The template is for a 5 x 7 inch card, with both a front and back design included. Each side comes in a layered .psd file for easy editing in Photoshop and Photoshop Elements.